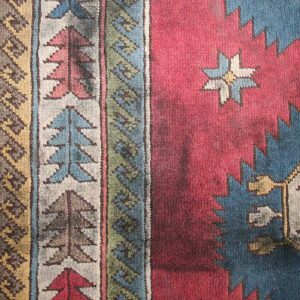 The Rug & Carpet Studio carries out extensive cleaning of handmade rugs and carpets, using specialised treatments and processes to remove impurities and revive the original colour and lustre of the pile. 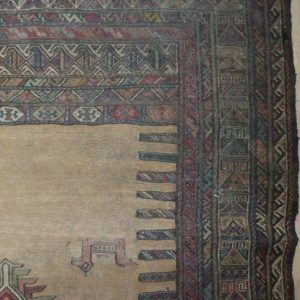 Treatments can be adapted and tailored for each rug, taking into account their age and condition. 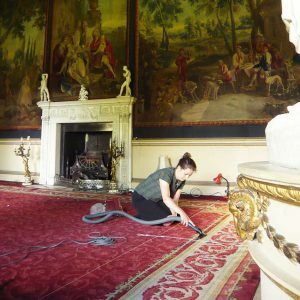 The cleaning processes range from dust extraction and surface wet cleaning of functional rugs, through to delicate hand tamping and the removal of surface impurities on fragile antique pieces. 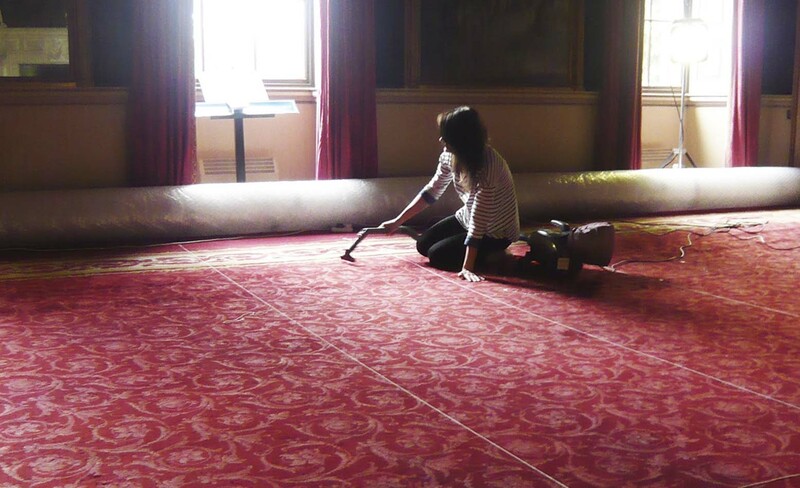 On-site cleaning can be carried out where carpets are too fragile or vulnerable to be moved safely. 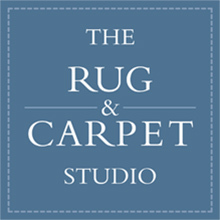 The Rug & Carpet Studio can also provide advice on routine cleaning and aftercare for each rug, taking into account the condition of the textile, and use of the room in which it is to be housed. 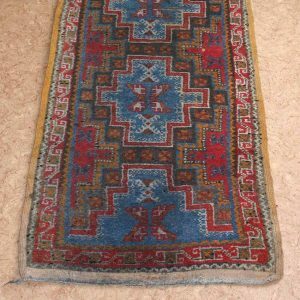 If liquid or food is spilt on a rug the residue should be removed as quickly as possible and then blotted with un-dyed kitchen towels to absorb the remaining liquid. The pile should not be rubbed or twisted as this can cause the threads to dry in an uneven position. Commercial cleaning solutions should not be applied as the chemicals can cause permanent discolouration. 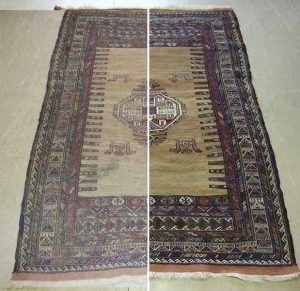 The Rug & Carpet Studio should be contacted as soon as possible to arrange professional cleaning of the rug and to carry out stain removal where required. 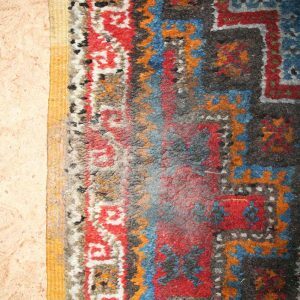 The cleaning process for functional rugs begins with vibration across the front and back to loosen and remove the dust and grit held within the pile, and embedded within the foundations of the rug. 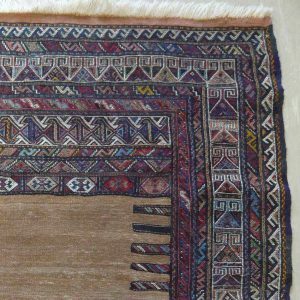 This process is imperative for the longevity of the rug as it prevents abrasion and wear to the threads. Dye testing is then carried out, followed by wet cleaning. 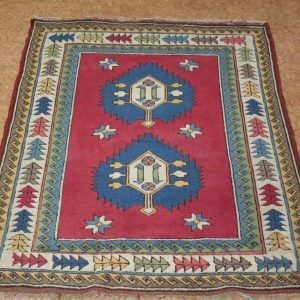 The rug is then placed in a drying room with regulated temperature and air movement to ensure controlled drying conditions. Stains and soiling such as animal urine or red wine are tested and treated to ensure effective removal whilst preventing any long term adverse effects. 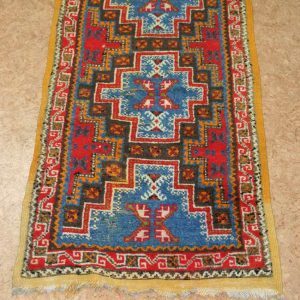 The removal of stains also reduces the attraction for insects such as moth and carpet beetle which can attack the rug. 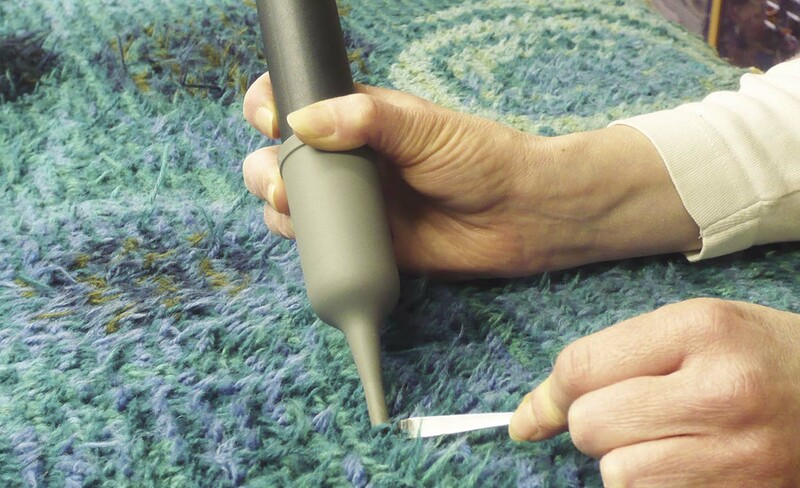 The Studio can also carry out spot stain cleaning where adhesives have been used on rugs. Fibre and dye testing is carried out to determine the most appropriate method of cleaning, taking into account the condition of the foundation threads and pile. Unstable dyes can generally be controlled. Different fibres naturally have different pH levels, requiring individual testing to ensure stability before and after cleaning. 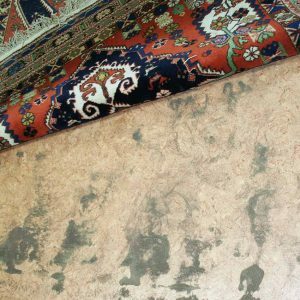 The pH levels can be affected by staining or surface impurities, which if left uncorrected can reduce the longevity of the rug. 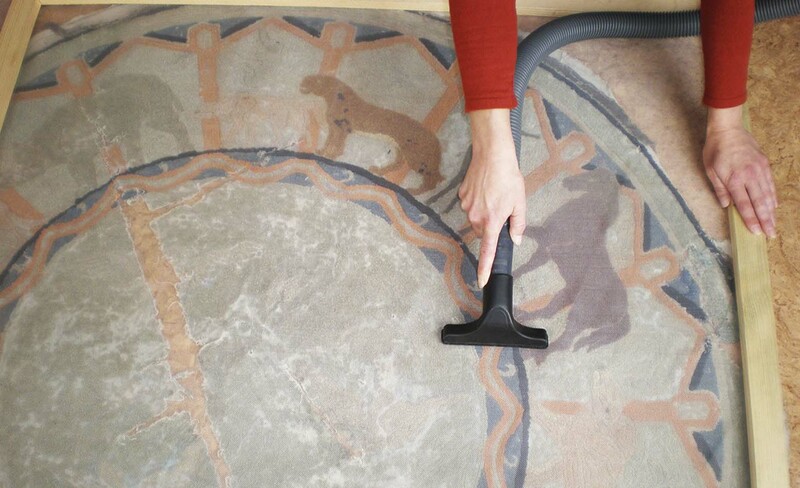 The cleaning processes and solutions can be adapted for the individual requirements of each rug. 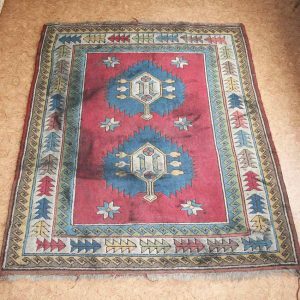 The speedy recovery of rugs damaged by smoke, fire, flood and mould is essential to prevent deterioration to the internal foundation threads and pile of the rug. 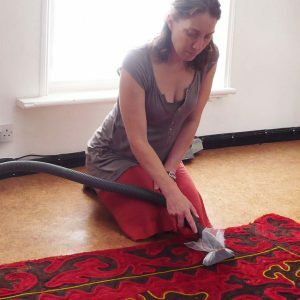 The Rug & Carpet Studio can assist in the safe manoeuvring and drying of rugs, followed by full immersion cleaning to remove impurities from the fibres. A quick response, specialist cleaning and controlled drying procedures can prevent long term damage.